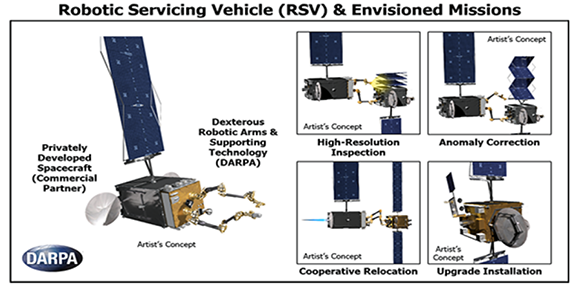 DARPA has completed a major review milestone for its Robotic Servicing of Geosynchronous Satellites, or RSGS, program. Results from a recently completed preliminary design review showed that the robotic payload design — coupled with a spacecraft bus that Space Systems Loral (SSL) is providing through a partnership agreement — is on track to fulfill a multi-year mission to service at least 20 commercial and government spacecraft in GEO. The technical challenges of servicing satellites in GEO are significant, but success could substantially revolutionize military and commercial space operations, lower satellite construction and deployment costs, and improve satellite lifespan, resilience, and reliability. Flight-scale manipulator arms on the robotic operations test-bed (ROTB) for the RSGS robotic payload are on display during the preliminary design review in July. During the July review, the U.S. Naval Research Laboratory (NRL), selected by DARPA to build the robotic payload, presented critical design and integration products ranging from interface control documents to plans for testing and verification and validation. 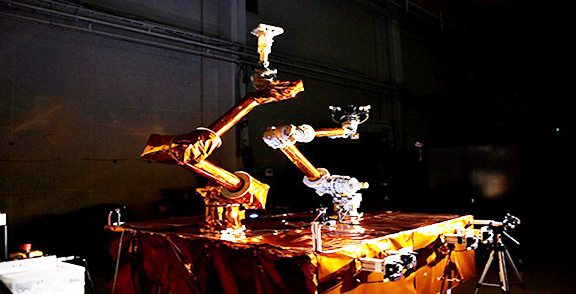 NRL has more than 15 years of experience in space robotics, focusing on control algorithms, system architectures, and robot laboratory testing facilities. 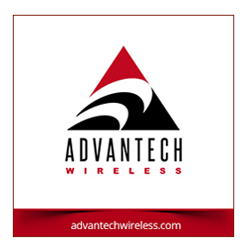 Several program elements have advanced beyond the preliminary design review stage. Flight versions of two dexterous robotic manipulator arms, which will allow up-close inspection, repair, and installation of technical packages on the exterior of U.S. satellites, are in production and are expected to deliver in 2019. SSL is on track for the systems requirements review for the spacecraft bus in October of 2018. Launch of the RSGS robot servicing vehicle is targeted for 2021. After DARPA completes an on-orbit checkout and demonstration phase, SSL would operate the vehicle and make cooperative servicing available to both military and commercial geosynchronous orbit satellite owners on a fee-for-service basis. In exchange for providing property to SSL, the government will obtain reduced-priced servicing of its satellites and access to commercial satellite servicing data throughout the operational life of the RSGS spacecraft. The RSGS program shares characteristics with two other relevant programs. The first is the Consortium for Execution of Rendezvous and Servicing Operations (CONFERS), which DARPA sponsors with intent to transition to a permanent, self-sustaining, and independent forum where industry and government collaborate for on-orbit servicing. The second is NASA’s Restore-L mission, which aims to provide certain servicing options for satellites in low-Earth orbit. Team members across all three programs work together to share insights and lessons learned. Joe Parrish, RSGS program manager in DARPA’s Tactical Technology Office, said that the completion of the payload preliminary design review is a major milestone for the RSGS program. NRL was able to demonstrate that its payload design meets DARPA’s objectives and is compatible with the spacecraft bus being provided by SSL. DARPA is well on the way to significantly improving the resiliency and functionality of government and commercial spacecraft in geosynchronous orbit.